Taper Hall (THH), See above. 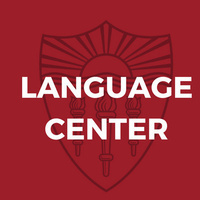 The Dornsife Language Center will offer placement exams for the following languages: Arabic, Chinese, French, German, Greek (Classical), Italian, Japanese, Korean, Latin, Persian, Russian, and Spanish. No registration is necessary. There is no registration fee. Arrive 10 minutes before exam starts. The exam can take up to 2 hours, so plan accordingly. If you need testing accommodations, please contact the USC Office of Disability Services and Programs at least two weeks before the test date. For placement exams in Hebrew, contact Jewish Studies. For Portuguese, contact the Department of Spanish and Portuguese. Check the Language Center website for all the details.